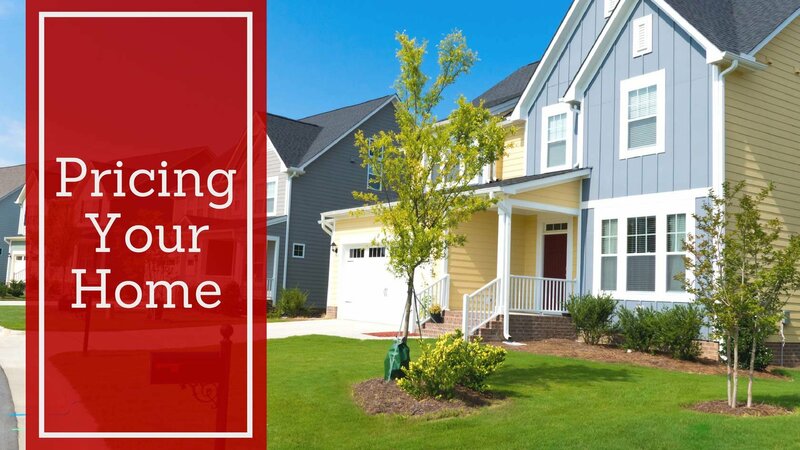 Pricing your home correctly is one of the most important aspects of selling your home, and it can also be one of the most difficult. If you price your home too high above its market value, you risk discouraging serious, qualified buyers. If you price your property below market value, then you'll likely drum up a lot of interest, however the offers and negotiations will ultimately get you less for your home. 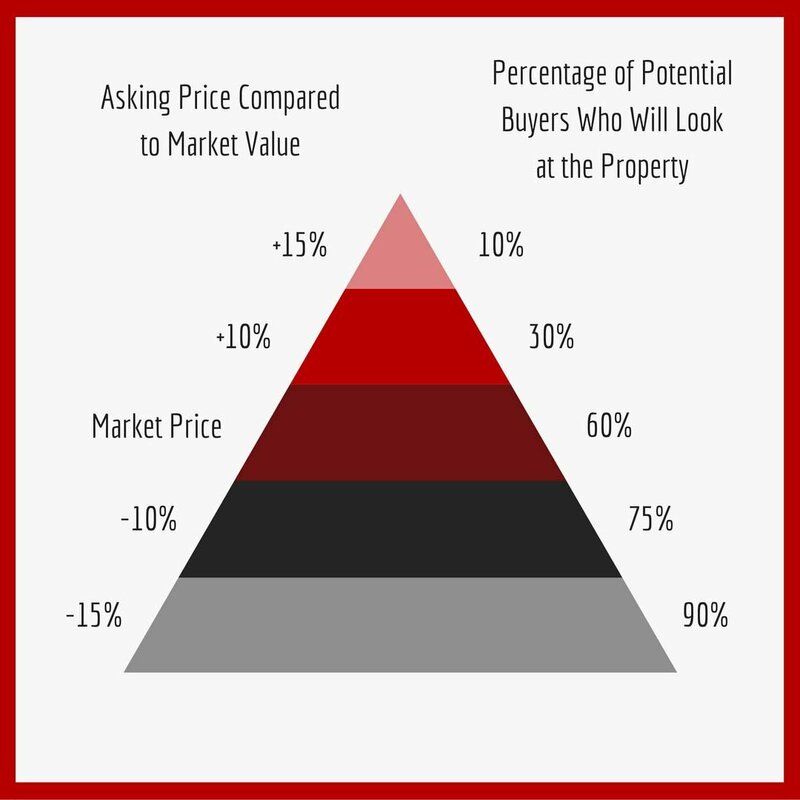 The property pricing pyramid below demonstrates the balance in determining your property's true market value. As the home's asking pricing increases above market value, the percentage of potential buyers who will look at the property decreases. When the asking price starts to dip below market value, the percentage of potential buyers who will view the property increases. Ultimately, the asking price that you decide on should reflect your overall selling goals. Are you looking to sell quickly, or do you have time to wait for the right offer to come around? Make sure to consider why you are selling before setting your asking price. When it comes to determining your home's value, it's important to remain impartial. Buyers in the market aren't interested in the price you originally paid for your home, or your selling and financial goals. Additionally, while your home might have characteristics that you value highly, they could potentially be features that limit the number of buyers who would be interested in purchasing your home, which can decrease the overall market value. You'll also want to consider the current real estate market and trends. Are home prices in your neighborhood up or down? Are there still a lot of properties with high days-on-the-market numbers? The most accurate way to determine your home's value is to speak with a real estate agent with experience in your area, and get a Comparative Market Analysis. Your agent will be able to help you to set an appropriate asking price that is in line with your selling goals. To learn more about pricing your home for sale, get in touch with our team online, or call 403-217-0003! Our agents will be happy to provide you with more information and conduct a Comparative Market Analysis.